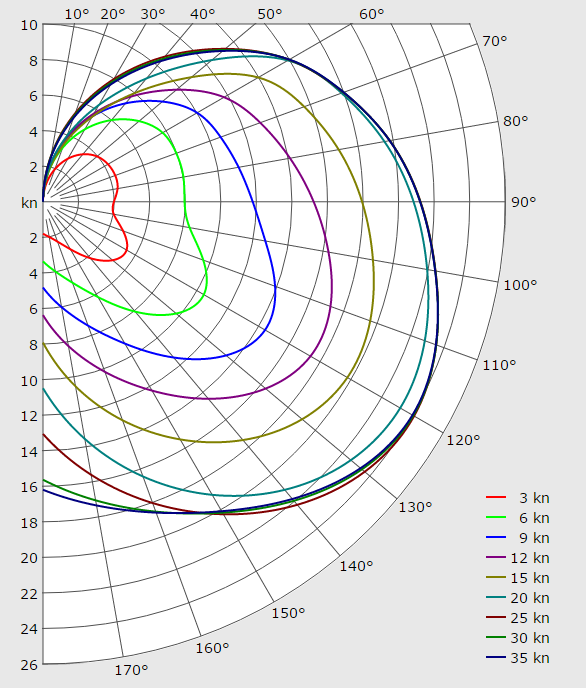 The leg from the start to the first mark was a close reach in 7.5kt winds @ 086*T. The winds decreased to 6.1kts and clocked to 110*T at the mark. Javakeda ran a route that bowed west of the rhumb as I kept the [revised] mark between the two projector lines. Revised? The course mark from SOL is on land. 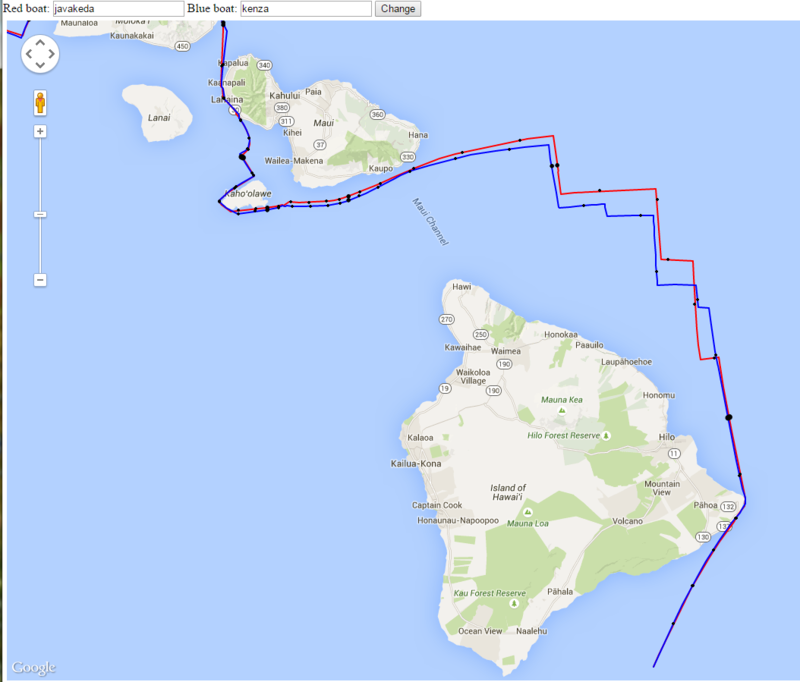 I moved it to just off Cape Kumukahi so I could route to it. 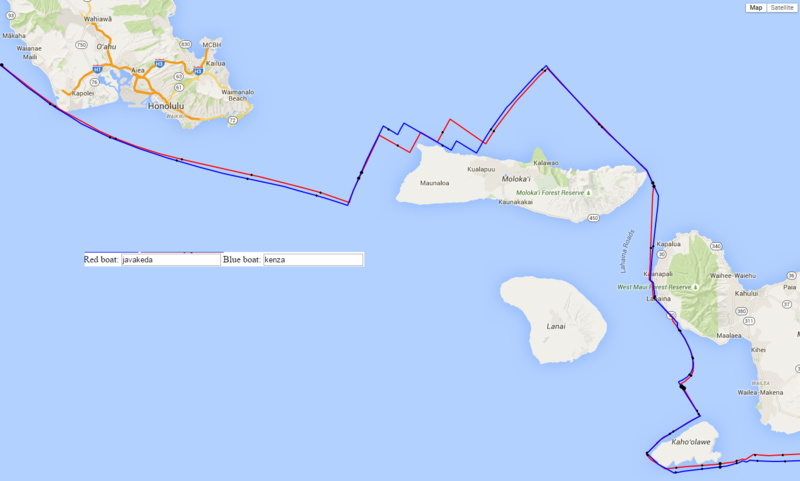 Hourly evaluations of gybe points kept pushing the route north. Finally, there was a route just off Maui’s southern coast that offered both angle and pressure. Things were looking up. I gybed to that route, set some DCs, and got some sleep. Out to lunch at Kahoolawe … Literally! A two hour lunch with my printer coincided with rounding Kahoolawe. 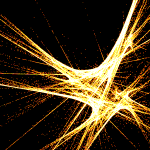 The Android app prevented total disaster. Still, javakeda went from 2nd to 9th during that lunch. 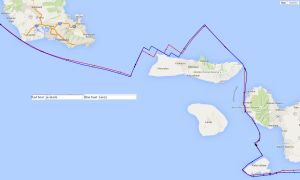 The route west of Maui to Molokai had both a wind shift and chances for polar hops. 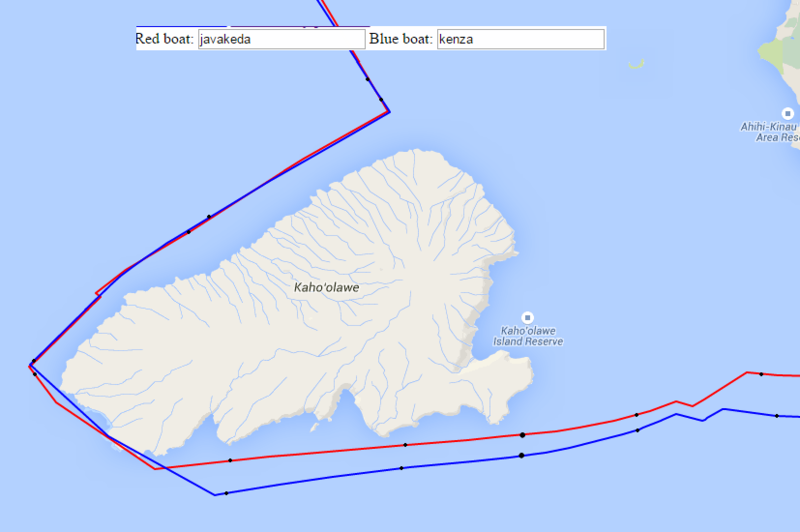 Javakeda made up some lost ground there, but still trailed bonknhoot and kenza rounding Molokai. 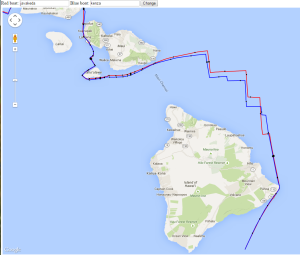 The route along Molokai’s northern coast consisted of two long legs and a series of quick gybes. Kenza solved the short-gybe puzzle nicely and emerged as the leader when the fleet turned toward Oahu. Approaching Barber’s Point on Oahu bonknhoot woke up from a power nap and zigged when he should have zagged. That resulted in a 360* turn that let javakeda into 2nd place and put bonknhoot, rafa, and Dingo in a tough battle for 3rd place. After rounding Barber’s Point TWS increased as the fleet sailed toward Kauai. This is a classic ‘the rich get richer’ situation. By the time kenza passed Kilauea Pt on Kauai, there was no catching him. Things got just a little more exciting heading past Niihau as decreasing winds allowed the fleet to catch up with the leaders. Javaleda was able to hold on to 2nd. Bonknhoot gybed for the line a tad early. That allowed Dingo to sneak by for 3rd place. Kenza sets the bar very high for SOL skippers. 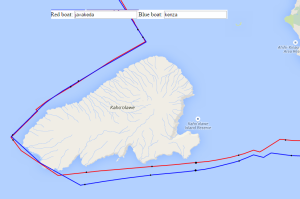 In the race chat around Molokai, Robert1 asked whether kenza has better software, or whether he just sails better. At the time I thought, “Maybe both!” He almost always has the right strategy. He rarely makes a mistake. Now that’s what I call an interesting challenge. Here’s to the next time, kenza. Well done. 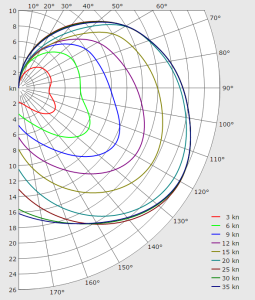 Previous PostTwo HalvesNext PostTurkey Time !